One of the most common health problems faced by people all across the globe is a Respiratory disorder or a respiratory disease. This is a term which includes a variety of pathogenic conditions that adversely affect your respiratory system and makes the process of gas exchange difficult. When you have a Respiratory disease, then the nerves and organs in your respiratory tract, such as lungs, the alveoli, bronchi, trachea, the breathing nerves, and muscles, etc. get affected. This type of diseases affect the tubes that help in the movement of air in the lungs. When the tubes either get narrowed down or blocked then the problems related to airway make way. This type of disease basically occurs when scarring or inflammation of the lung tissue takes place. This type of diseases are the result of blood vessels becoming clotted, inflamed or scarred in the lungs. When the inflammation of the bronchial tubes and the airways takes place then it causes bronchitis. This is a type of Chronic Obstructive Pulmonary Disease (COPD) and often leads to shortness of breath, coughing, wheezing, chest tightness, etc. It could be of both acute and chronic and is majorly caused in the chain smoker. Apart from this, anyone who is exposed to constant air pollution, fumes, or dust can also become a patient of chronic bronchitis. Emphysema is a respiratory disorder which also comes under COPD type and involves damage to the air sacs or alveoli in your lungs. In this problem your body doesn’t get enough oxygen and catching your breath becomes difficult. This health problem is also accompanied by a chronic cough and shortness of breath and if not treated properly can lead to severe complications. Asthma is another respiratory disorder which narrows your airways and swells it, thereby making it difficult for you to breathe properly. It can even produce extra mucus, trigger coughing, wheezing, etc. An asthma attack is not taken seriously by many people and is more of a trivial issue but they forget that a single life-threatening asthma attack can turn your life upside down. Pneumonia is an infection that leads to the inflammation of the air sac or the alveoli in one or both lungs. In this respiratory disorder, your alveoli may get filled with fluid or pus (purulent material) that can make you cough with phlegm, apart from having difficulty in breathing and fever. The infection could be bacterial, fungal, viral, etc. and can range from mild to life-threatening one. If you are having any type of respiratory disorder then you must seek Ayurvedic help. 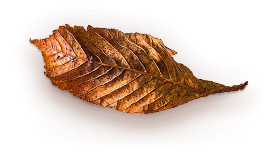 You must never ignore all the symptoms and try to contact an experienced Ayurvedic practitioner. The best destination for people suffering from a respiratory disorder such as asthma, bronchitis, etc. 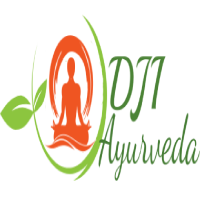 is DJIAyurveda.com, where you receive solutions to all these health problems at a competitive price.